We are excited to announce that FundamentalVR joins a select group of technology companies appointed by Microsoft to the HoloLens Readiness Program. FundamentalVR will work closely with the HoloLens team in EMEA and the US, focusing particularly on the adoption of holographic mixed reality into the medical space. Following the appointment Chris Scattergood, co-founder of FundamentalVR commented: “This is a big step forward for us and the culmination of a great deal of work. 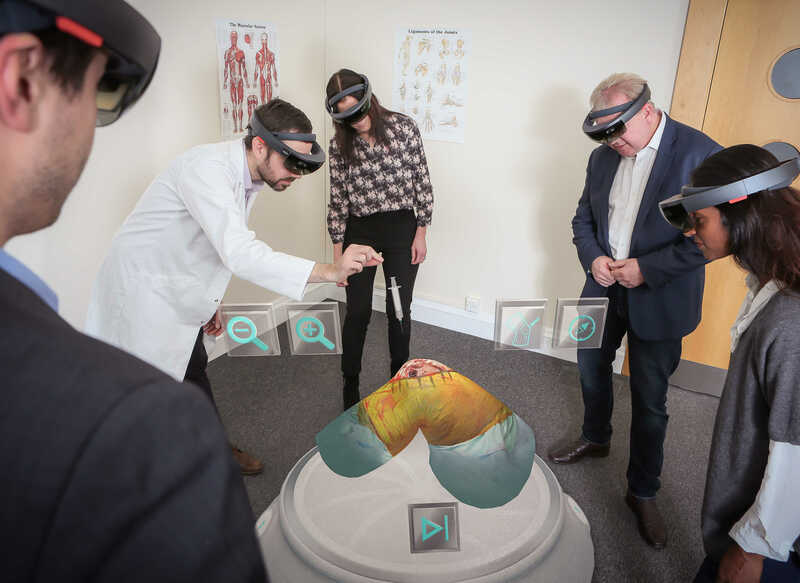 With the support and endorsement of the Microsoft HoloLens team, we will be launching a number of holographic initiatives over the coming months. We are particularly excited to showcase our MultiMR solution which allows up to 20 people to share a holographic experience”. To discuss the potential opportunities for training, education, simulation and promotion please get in touch. To view an example of MulitMR in action click here.